Born in the first year of the 20th century, it is fitting that Margaret Mead should have been one of the first anthropologists to use anthropological analysis to study the future course of human civilization. This volume collects, for the first time, her writings on the future of humanity and how humans can shape that future through purposeful action. For Mead, the study of the future was born out of her lifelong interest in processes of change. Many of these papers were originally published as conference proceedings or in limited-circulation journals, testimony before government bodies and chapters in works edited by others. 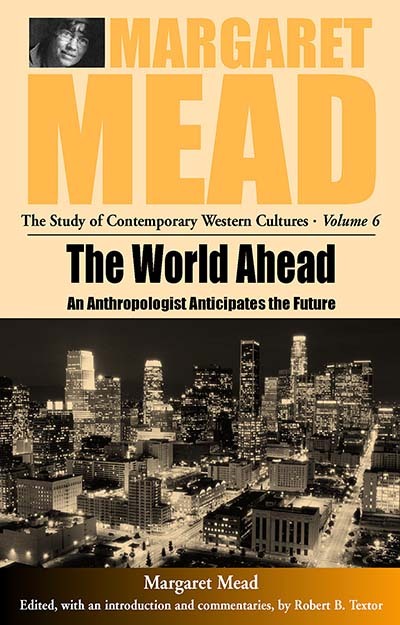 They show Mead's wisdom, prescience and concern for the future of humanity. Margaret Mead served as Curator of Ethnology at the American Museum of Natural History from 1925 to 1969. She began her career with a study of youth and adolescence in Samoan society, published as Coming of Age in Samoa (1928). She published prolifically, becoming a seminal figure in anthropology, and was posthumously awarded the Presidential Medal of Freedom in 1979. 1966a: One World—But Which Language?